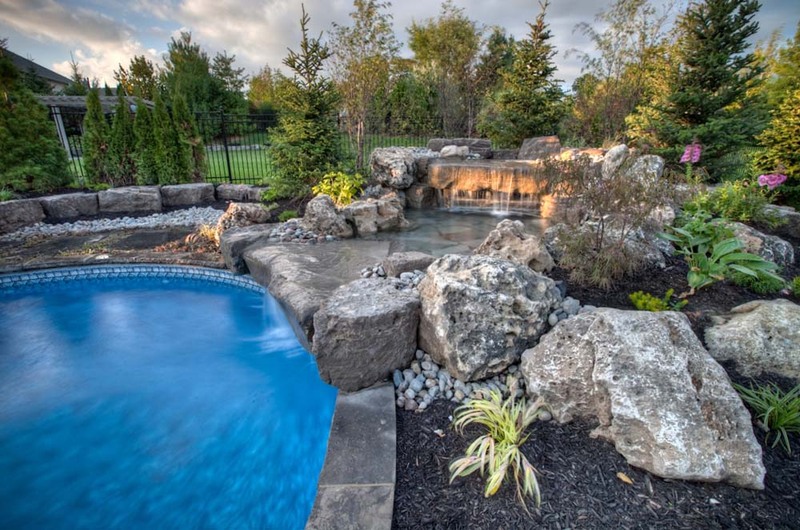 Darsan Contracting offers Swimming Pool Design and Landscape Design services, creating outdoor living spaces that are customized to suit your needs. 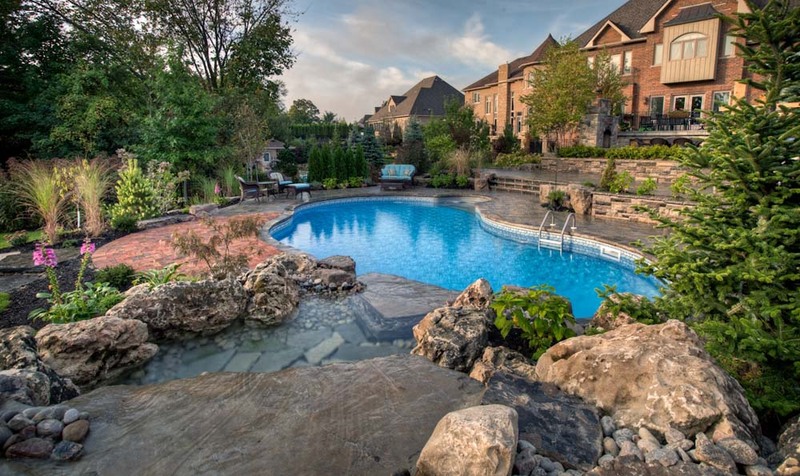 When designing this dream retreat, we were inspired by the existing grade changes in the backyard as well as the conservation land that provided a heavily wooded background. 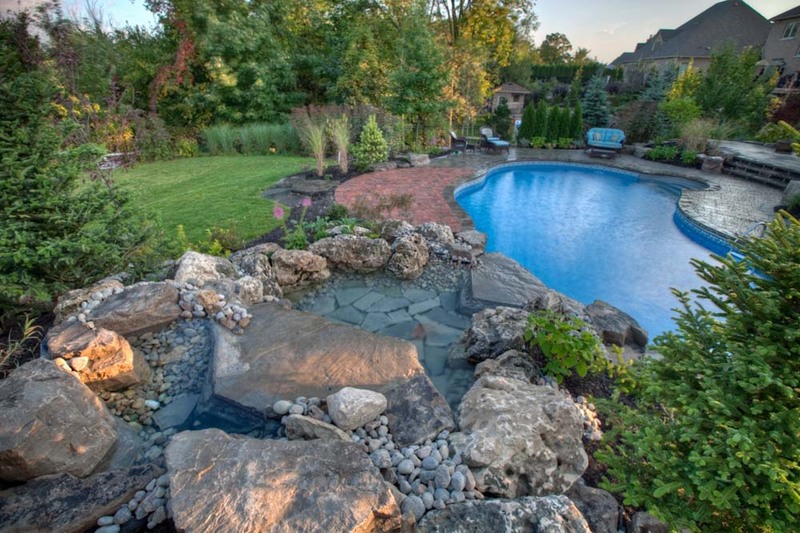 The design is centered on an 18’ x 36’ humpback-kidney shaped swimming pool that included a double-spill-over rock faced water feature. 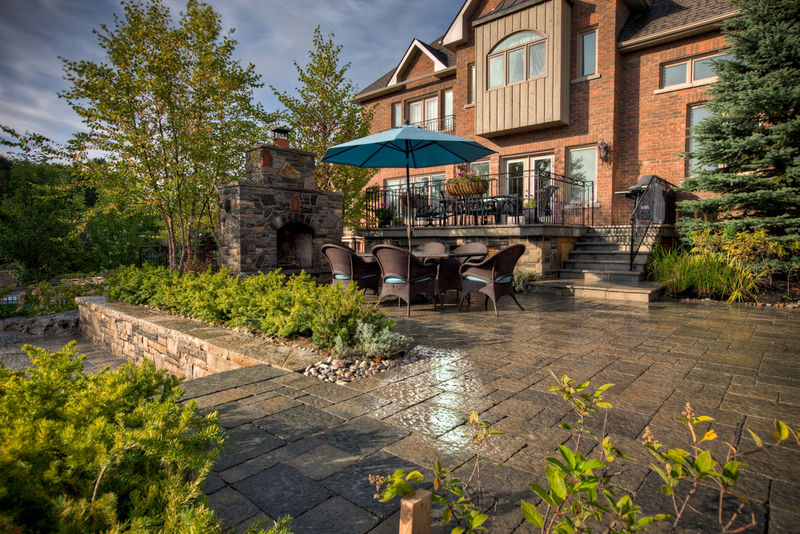 Retention walls were built to create the multi-tiered patios. 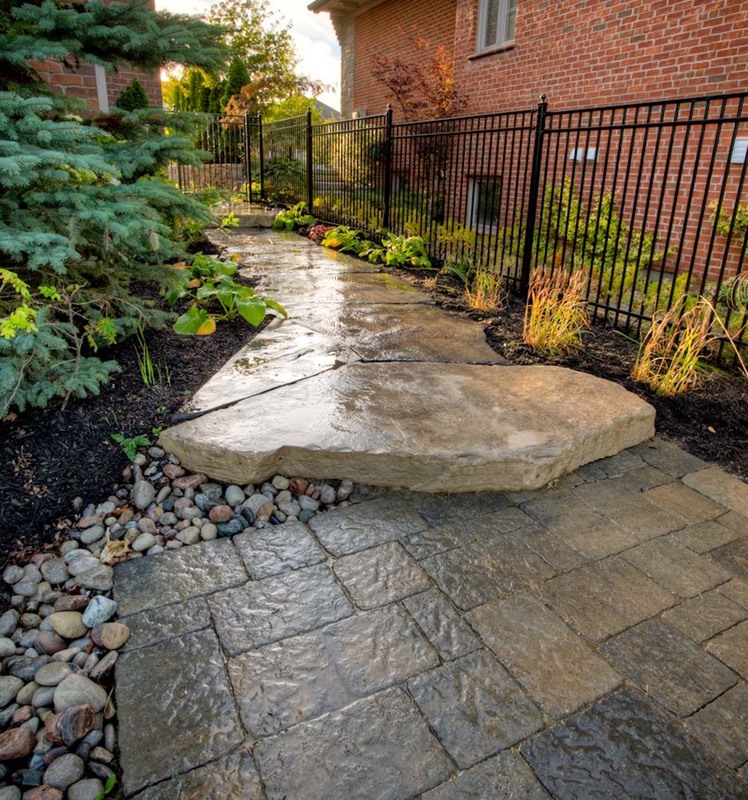 Armour stone boulders were relocated throughout the garden and waterfall to keep the country feel we were trying to achieve. 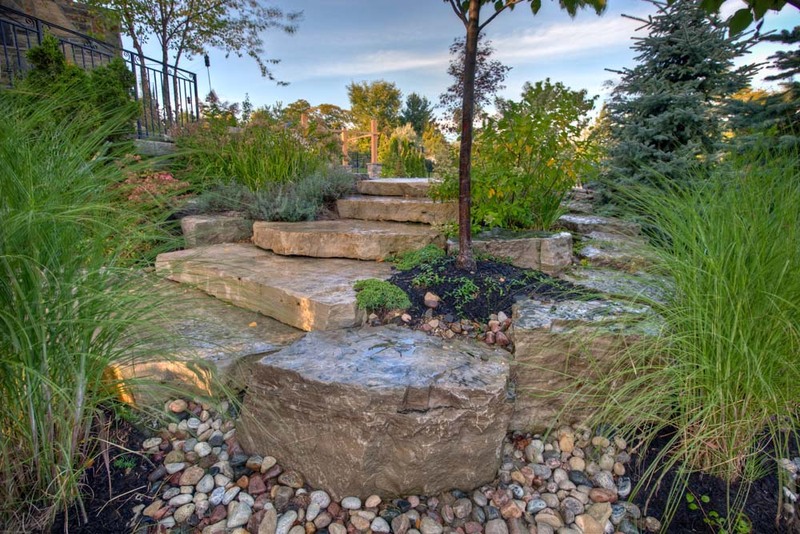 Transforming this plain grassed everyday landscape into a beautiful functional space, included an impressive stone fireplace, open sided cabana, outdoor kitchen, and a variety of trees and shrubs which softened the hardscape elements. 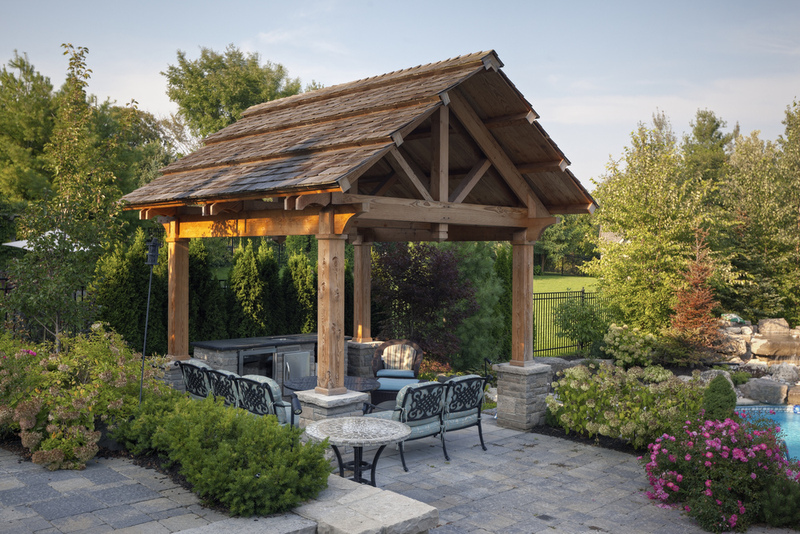 We satisfied the homeowner’s vision of entertaining while keeping the backyard’s countryside appeal.